In September 1939 Hitler invaded Poland. With thousands of tanks and planes, the invasion was short and victory was absolute. Two days later, Hitler’s steady advancement across European borders was finally curtailed by the Allied declaration of war. It would be the last, world-encompassing dying breath of an empire that once spanned a quarter of the world, an empire that had already sustained massive social and military erosion since the First World War. 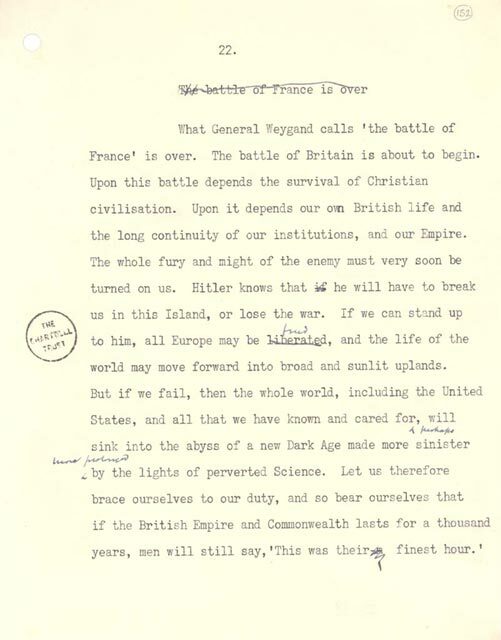 Winston Churchill was not Prime Minister when war was declared — Neville Chamberlain was — so most of his rousing, now-renowned speeches came later, after the fall of France. Ironically, it took Britain’s biggest failure in war to see Churchill become the prime minister. The Battle of Britain followed, as did the joining of the war by the Americans. Bridging both the Atlantic and the 250-year imperial divide created by the American Revolutionary War, Roosevelt effectively, excuse the Americanism, ‘saved our asses’. The rest is history. Messy, corpse-riddled history. But this story isn’t about America, or even England; it’s about my visit to the Poland in 2008. A trip down a cobbled, dark lane littered with the shadows of my Jewish ancestors. I stood where Hitler had stood. Hitler commanded a vast audience that filled the streets of Danzig (Gdansk) as he delivered his first victory speech. While he spoke and the occupants of Danzig gawped at their new charismatic, self-deprecating emperor, Germany’s vastly superior army was busy destroying the scattered, fragmented remnants of the Polish military. Another war, another crusade. One more Earth-shaking tirade in the name of God! However, this won’t be about God or the atrocities committed for and in his name, I’ve already written more than enough on that topic… at least for now. No, this trip was simply to see Poland, to see a friend, to sample the food and the culture. This wasn’t the stereotypical trip to Auschwitz; the kind of trip that many Jews take in a fruitless attempt to absorb a tiny fraction of what war-time Poland must’ve been like for our ancestors. I can’t begin to conceive what the Holocaust was like, and I have no idea how many members of my family were mercilessly slaved and later executed. ‘If you want some certified-diseased prostitutes, Seb, we can do that… just bring your health insurance documents.’ Mike sounded awfully experienced in the ways of fleeting, paid-by-the-hour love. The next part will chronicle my long weekend in the Tricity of Gdansk, Gdynia and Sopot: the first of many cheap hookers; one of the few times I’ve had acute alcohol poisoning AND… of course there will be more, awful photos of me. Strandebarm, or standing on the edge of dark grey infinity Sleeping Hitler (#9/365) Berlin (June 2011) Skywatch Friday: Poland! sounds like you’re going to have a life altering weekend ahahahah. have fun! I was watching the film ‘Enigma’ last night, and the plot of it entailed the fact that the Russians killled 4000 Polish soldiers, just becasue they don’t like the Poles. They were on the same side in the war at that point too…. I really liked this post. I was a history major in undergrad… well, I was an English major who refused to stop taking history classes, so they were nice to let me have that degree… but anyway, WWII was always one of my favorite subjects. My boyfriend’s polish, and one of my favorite things is to hear him tell stories that his polish grandmother told him. It’s hard to believe that there’s all this interesting, albeit unbelievably horrifying, history that only occurred around 67ish years ago. It feels like it should be so much further away. I know as the world keeps spinning, eventually all the WWII veterans and holocaust survivors will have passed away… I think that’s so sad, since they have so much history… but we do have some great literature to help us, and the next generation, remember. Still, there’s nothing like the face of an older, WWII vet. I wish history had been taught properly at my school. We got lumped with a teacher that knew very little, and as a result taught us about the Romans, the Tudors… and not much else. I’m sorely lacking in the whole history department — I only know what I’ve picked up from my travels, and a little research when a particular topic piques my interest. Looking back, I wish I’d learnt more when I was younger, it would’ve made my trips around the world a whole lot richer. I’m sure most war and holocaust veterans have now told their tales. God knows we’ve had enough films, books and TV specials on the topics. There’s that much to be said about modern history as opposed to ancient myth — not a single detail will be forgotten. The details of wars and atrocities won’t ever be forgotten with the technology we have now. the picture looks like a church. it’s beautiful and i love the lighting. i think hitler had his.. anniversary? or something or other on my birthday. whoopee. I know, it’s vaulted and lovely… but it’s actually just the gateway into one of the main shopping squares/pedestrianised areas! About 10 feet behind me would be the sea, or an inlet from the sea, where boats would come and unload. I did a little more research, and I don’t know if Hitler was actually declaring war in the name of God. I think it was more the same way that almost everyone still swears on God, even if they don’t acknowledge his existence as the omnipresent almighty — like when you swear on a bible, in court. I guess swearing on God is about as good as it gets, and has been for the past 2000 years… I imagine it’ll start to die down though. Perhaps people will start to do things more for themselves… which would be a nice thing. I do have a plethora of knowledge, a myriad of memories, but that only came from lots and lots of watching and listening and reading!